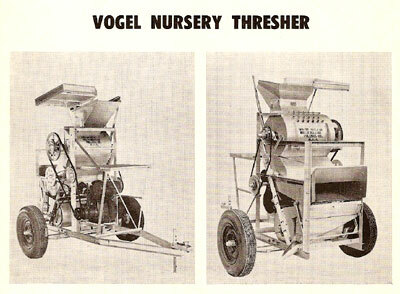 The Vogel Thresher increased crop yields and was developed to enable independence for small farmers, especially in areas of the world where agriculture struggled to provide for it's local population. The most prominent early international adopter of the Vogel technology was the country of India who, on the brink of famine, was able to increase wheat yields and provide for it's people. Bill's Welding is proud to be a key part of this achievement. Bill's Welding proudly offers on-site service and repair through two fully equipped service trucks. Call today for more information on mobile services.